Can the Christian faith really be summarized as faith in "Jesus Christ, and him crucified?" The instrument of the most horrible execution in the ancient world could cast a long shadow over the entire life of Jesus. As Son of the Highest, he was born in human flesh in order to go to the Cross! The event of his crucifixion in the plan of God became the crucial moment of all history---the center-point of divine redemption. On Calvary's Cross, Jesus took our place and bore the divine penalty of wrath for our sin. 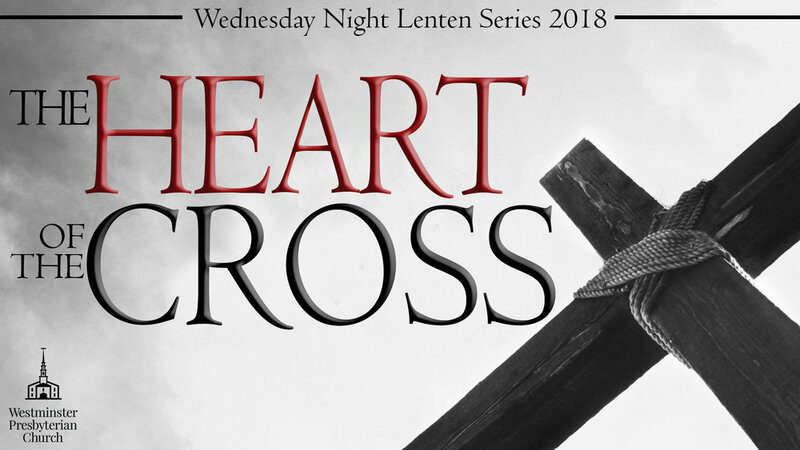 On six Wednesday nights and Holy Thursday, we propose once more to carefully walk around the Cross, reverently considering its great meaning for us and the amazing glory of our Savior revealed only there. Wednesday evening meals will continue throughout the Lenten series, but please give us an exact count by noon on Tuesday.